In the early 1990s, David Schell was working with the Army Corps of Engineers, which asked him to take its GRASS product ' Geographical Resource Analysis Support System ' into the private sector. Schell formed a company to accomplish that and soon found that the geospatial market was hobbled by a lack of standards and communication among developers, and between developers and users. 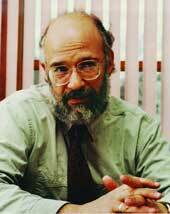 Schell responded by founding the Open Geospatial Consortium in 1994. Since then, OGC has grown to encompass 341 member companies and organizations. That includes all the major geospatial developers, along with many government agencies and universities. We spoke with Schell to discuss the current state of geospatial standardization. GCN: Why was it so important to have standards in the geospatial field? Schell: To promote business development and effective research involving spatial information. The real purpose is not just to create standards per se. It's to create standards in order to move spatial thinking into operational and research models. The issue, more than anything, was to create an organizational focus, an organizational collaboration that would provide a place for all the competitive and mutually misunderstood organizations to get together and discuss issues of common concern so they wouldn't continue to fight this battle among themselves. So our first task was to bring elements of both of these communities to the table and'try to short-circuit some of the misunderstandings. The idea was to bring the user requirements into the product development cycle in a much more urgent way. GCN: Specifically, how does this collaboration take place? Schell: We invented a program called the Interoperability Program. In this program, we invited large organizations who had major requirements to state those requirements and to put up some resources to help stimulate a process to have those requirements looked at. OGC then issues an RFP to the community and ask[s] the community to make proposals against these requirements. We usually get 40 to 50 responses from development organizations. They propose either working for some basic amount of resources to cover expenses, or they propose providing in-kind resources. They do this because they want to be involved in the development of an authentic solution that's going to be used just as soon as it is developed. The Interoperability Program has become a way that we are able to use user requirements'to drive the standards process. What's really nice about it is that everybody knows'it's a low-budget process. So the sponsors put up what they can. The developers provide in-kind participation. The result is that we very frequently get a one-to-three to a one-to-five return on investment. It's not just about standards and best practices. The result is really a collaborative community within the market. Schell: After 9/11 [the 2001 terrorist attacks], we were asked by the [Environmental Protection Agency] to help solve the problem of multilevel sensors to measure pollution plumes. We developed'the Sensor Markup Language, which became the basis for a whole suite of sensor-oriented standards that are now generally used by most of the organizations in the field, which results in interoperability. The same thing happened with location services. We got involved early with a number of organizations that were just beginning to learn what points and locations had to do with computing. They discovered we had been working on it for 10 years. And so we were able to develop a suite of standards called [the Open Location Service] in response to requirements 'from half a dozen government agencies and several commercial organizations wanting to go into the business of dealing with things like 9/11. GCN: Has there been any resistance to your efforts? Schell: Some companies move more slowly than others. There are some companies that join and make a point of not trying to move too fast. The principal thing to realize is this: Everybody wants interoperability. Some companies are saddled with a tremendous installed base of business, which makes it necessary for them to move slowly. It's hard to move an installed base. 'New companies have no installed base and they can move very, very quickly to successful deployment. GCN: What are the biggest challenges now? Schell: One of our great challenges right now is to harmonize the existing geospatial market, which [comprises] traditional powers like ESRI, Integraph and Autodesk as well as the new, dynamic, young companies like Ionic. And Google just joined the consortium. That's tremendously important for the industry because Google has really ensured that there is broad awareness for spatial information. Google Earth has had a tremendous impact on the market. The traditional powers have been waiting for the market to crack open, for the consumer end of things to develop. Now Google comes into the market with its business model, which is very different. I think'our biggest challenge is to harmonize these two business models ' the old and the new ' so the consumer market can take advantage of all the work that's been done. The second great challenge is to get a lot more participation on the part of major industry players, including the auto industry, telecommunications [and others]. They all use and depend upon spatial information. Government [agencies] are all now lining up and adopting these standards, but many [vendors] are still stovepiped and haven't gotten involved in industrywide standards processes. They're usually the last to get involved in this kind of change ' that's because they generally depend on very old infrastructure and 'well-defined' traditional ways of doing things, and find it hard to change. They're the slowest to get involved, while at the same time they're the ones that most critically need the assurance that certified standards can give them. Finally, I'm concerned the world's going to burn to a cinder in not too long if we don't do something about it. One of the most important things that I think needs attention is the fact that the issue of climate modeling and global change has got to be addressed with every ounce of brain power we have.